So I hear that this little thing called football season has begun. Football season makes me happy because people who love sports tend to also love snacks and I happen to love providing people with both snacks and treats at sporting games. Do they have such a thing as Football Friends? You know like an equivalent to Soccer Moms? If they do, then that would be me. I could care less for who wins or loses but did you say you wanted another fried beer-battered nacho? Oh sure, I’d love to get that for you. How about another a chicken wing? Did you say with sauce or without? But I will let you know the real reason why I love football season. It is because it usually means I have a whole bunch of hungry people in one room – ready and willing to taste all the desserts I am testing out for the holidays. It’s like my pre-season heaven. You could say it is the spring training of my dessert ideas. I take notes and listen to feedback. Perhaps I need to trade out the milk chocolate chips for semi-sweet in that cookie over there. Good to know. Peppermint wasn’t looking too good in the summer off-season. I know, noted. How many sports joke references can a non-sports fan make before getting everything wrong? I am pretty sure I just passed it back there somewhere. But just like sports has a lot of fans, so does speculoos cookie butter from TJ’s! What a great tie-in! I am fairly certain that cookie butter deserves an entire post because it really is just that good. Google “TJ’s cookie butter” and you will get keywords like “obsession” “OMG! !” “BEST THING EVER” which means that the next time you are at TJ’s you should probably pick up a jar so you know what the hype is all about. Which then means you can eat a quarter of the jar with a spoon and then bake the rest into these bars. And since I think there happens to be some football going on this weekend – what a perfect excuse you have to whip these up. Be a good Football Friend! Speculoos cookie butter is like something along the lines of what ground-up graham crackers, gingersnaps and various fall/winter spices would taste like if they were all swirled up into the consistency of peanut butter. Basically – amazing. 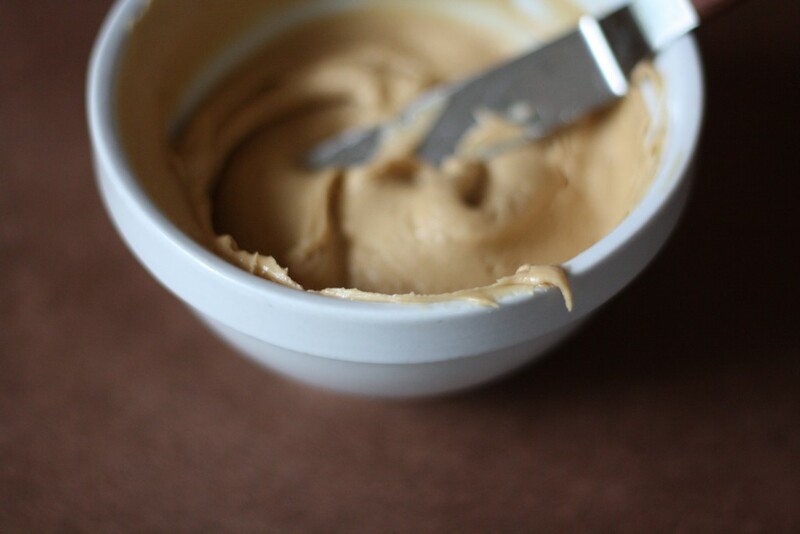 Because this creation of cookie butter is so delicious, I have been wanting to bake with it for a long time. Thus these bars were formed. The base starts with a cookie butter blondie bar. If you are unfamiliar with a blondie, they are like a chocolate chip cookie with no chips and in bar form. So pretty much all around good times on the cookie front. The sprinkle of cinnamon sugar creates a crispy sugary cinnamon topping that a) looks pretty and b) tastes delicious. But I didn’t want the cookie butter flavor to end, so they are topped with a creamy cookie butter frosting. How’s your sugar rush doing now? These treats taste somewhere between a cake and a blondie brownie but it is the frosting that really gives this dessert major points on the scoreboard. It is cookie butter flavor overload. Get ready for Sunday good time snacks, and gooooooo [insert your team here]! Make the cookie bars: Preheat the oven to 375. Butter an 8 x 8 pan then line with two sheets of overlapping parchment. In a small bowl mix together the sugar and cinnamon for the sprinkle. Set both aside. In a medium bowl whisk flour, baking powder, baking soda, salt and cinnamon together. 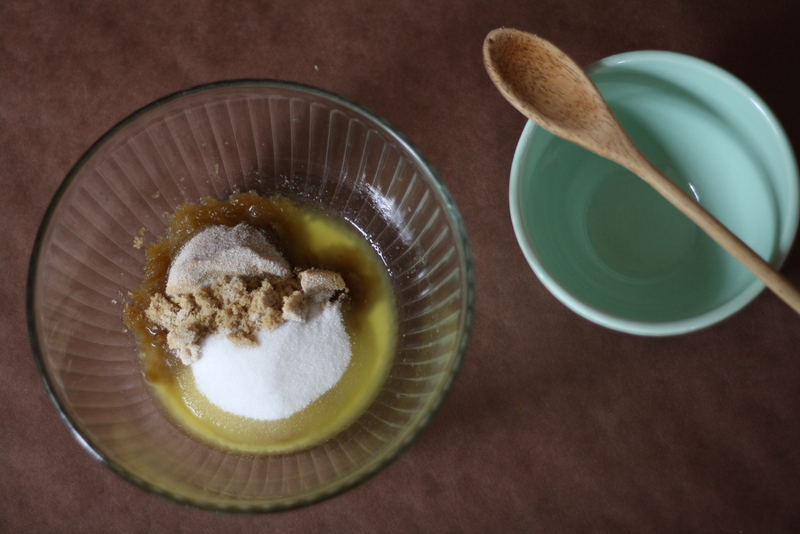 In another medium bowl mix the melted butter with the sugars until combined. Add vanilla and both eggs and mix well until incorporated. Add the cookie butter and stir until smooth and fully combined. 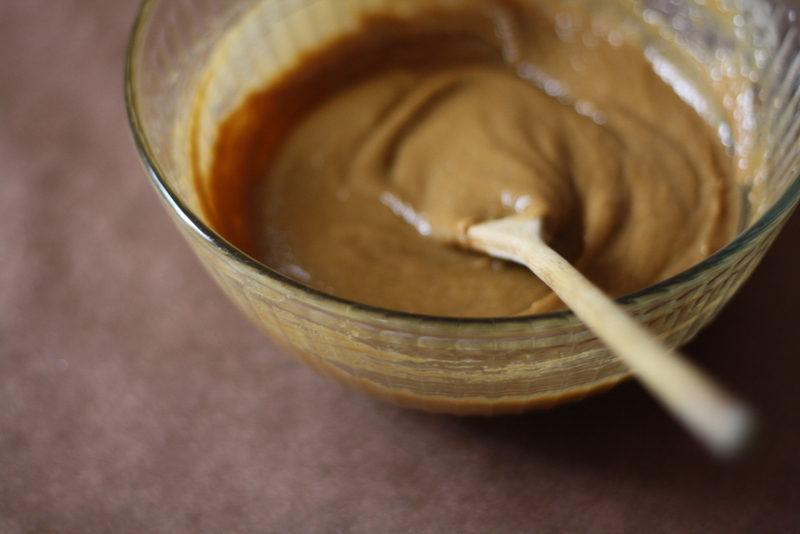 Add the flour mixture to the cookie butter mixture and stir to combine. Spread into the prepared pan and smooth the top with an offset spatula. Make the frosting: In a medium bowl beat together the butter, cookie butter and powdered sugar until well combined, then slowly stream the half and half into the powdered sugar mixture. Increase the speed of the mixer and beat the frosting for least 5 minutes, or until light and fluffy. Add a bit more half and half as needed to achieve a spreadable consistency. Generously spread the frosting over the cooled bars. Slice and serve. 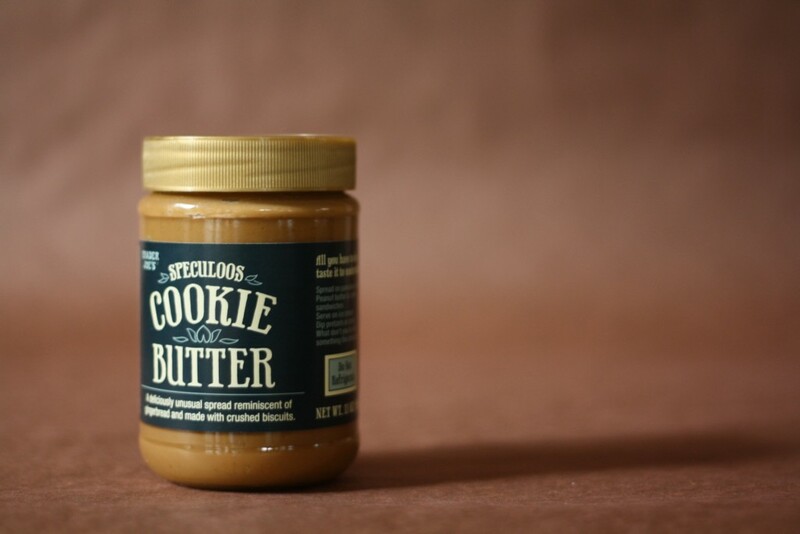 *Speculoos cookie butter is sold at Trader Joe’s and a similar product is sold as Biscoff Spread. 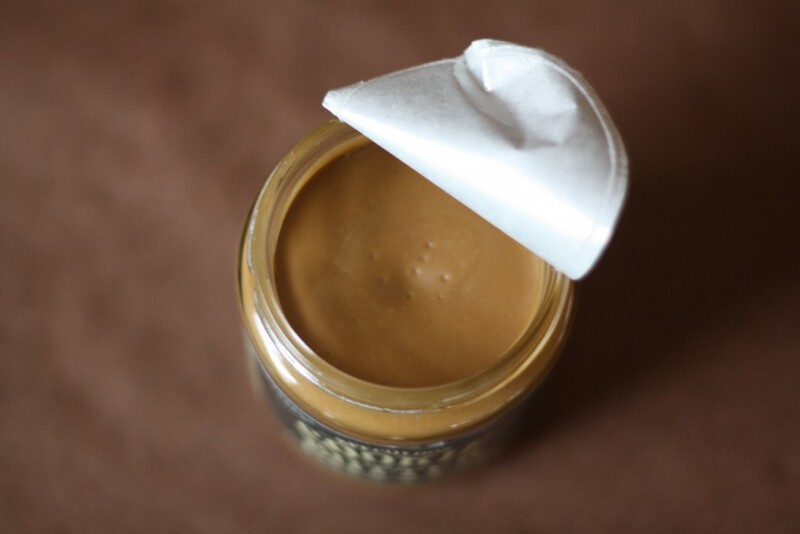 If you are unable to find either then this would be a fabulous recipe to audition with your favorite peanut butter – knowing the taste will be quite different – but no less delicious. **I did not have to travel with my cookie bars, but if I did then I would have let the cookie bars cool completely before frosting them right in the pan and transporting. They won’t be as pretty if they are frosted, sliced and then packed away so I would wait until arrival at my destination, use the parchment sling to remove the bars, then slice n’ serve on the spot! These look unreal! Love this idea! Wow, I can’t even imagine how wonderful these would be. I am so happy that I have a relative coming over from the states soon, so will ask them to bring me a jar of the Cookie Butter. Thanks. can’t wait to make these! the wafels and dinges truck comes often by my area so maybe i’ll get their speculoos if i can’t get to TJ’s sooner! Oh my god! Best idea ever! I am so addicted to TJ’s butter that I HAVE to try these! All right, I give. I keep seeing cookie butter discussed everywhere, and I’ve put off trying it because the nearest Trader Joe’s is, like a billion miles away (read: a 25-minute drive). But jeez, these are pretty. I hope you’re proud of yourself. Ha! It lives up to the hype and is for sure worth the drive! These look amazing so I guess I need to start shopping at trader’s joe’s again? Man that stuff looks awesome! @Melissa people are selling Trader Joe’s Cookie Butter on Amazon and eBay if you are interested! So, what do you think? Is Biscoff enough like TJ’s cookie Butter? Or are we really talking about a different animal? Because we don’t have TJ’s in Idaho yet (for shame), and I’m scouting out my options on amazon. There is a slight difference in taste and texture between the two products but being near a TJ’s makes me partial to cookie butter. You’d have success with both, if that helps. Hope you enjoy them and happy baking! Oh, how I wish there was a Trader Joe’s near me!! These look delicious! I hope I don’t need to be watching football to eat them. Hi, This looks very yummy and mouth watering. definitely i will try and let u know. you have described it really good anyone can follow it . thanks for a wonderful recipe. Oh I have got to try these!!! I LOVE speculoos as it the closest to the speculaas cookie you can get in the states! How have I gone this far in life without trying cookie butter? These look fantastic! I made these for a food swap this weekend and they were a huge hit. Thank you for sharing the recipe! Yay! I’m so glad they were a success! May I tell you how much I love you for putting weights? I know a lot of baking sites use weights and break it down to ounces or grams for the general public but I can tell due to the odd “1 cup + 1 T. of flour” entries. I SO appreciate the recipes I don’t have to convert. This one looks amazing. I just happen to have all the ingredients on-hand for a baking project tomorrow. Thanks again for thinking of us who use scales for baking!! Thank you Linda! I LOVE my kitchen scale and wish I could convince everyone to bake with one (I have tried the fewer dishes angle but people love the safety of their measuring cups!) so I appreciate your kind words. Enjoy the bars – they are delicious! Thank you for reading! I feel the need to post a comment now that I’ve tried these straight from the baker herself! Lillie, these were fantastic, and I may have had two more for breakfast. So soft, chewy and full of fall gingery goodness. I am a huge fan & can’t wait to make these myself. I made these last weekend and while they were delicious, they looked a little different. The “bars” puffed up like a cake or bread and then sunk back down when I let it cool.. the edges were still raised though. Should I have hand-stirred instead of using my handheld mixer? Either way, delectable! I’m sorry to hear that and it could have been a variety of things – opening the oven mid-bake affects the oven temp and sometime causes the middle to sink. Also, it could be the cause of over-leavening. When measuring baking powder and baking soda be sure to level off the extra on top so the ingredient is flush with the measuring spoon. I hope this helps for next time and I’m happy to hear they were enjoyed! i can’t believe i haven’t bought a jar yet! As a busy mom of two littles, I whipped up a batch of these last night, only I put the dough in a standard muffin tin (sprayed heavily with TJs canola oil spray); topped them with the TJs cinnamon & sugar grinder (super handy & quick); and slightly overbaked them (the mom excuse here). I substituted rice milk for the cream in the frosting & it was fine (for lactose free husband). We ate several last night for a snack. This morning I put one in a “cup-a-cake” (you gotta google this!) for the school age little & what a delicious peanut-free (allergy in her class so no peanuts) treat she’ll have at lunch time! Thanks BMUB! Okay, so I just made these last night and while they didn’t turn out super pretty (got misshapen because of the awkwardly large piece of parchment paper I used + bike ride to work), my coworkers LOVED them! Two people came back for seconds and then thirds, so I think it’s safe to say that these are awesome. That is awesome! Glad they were a hit!! 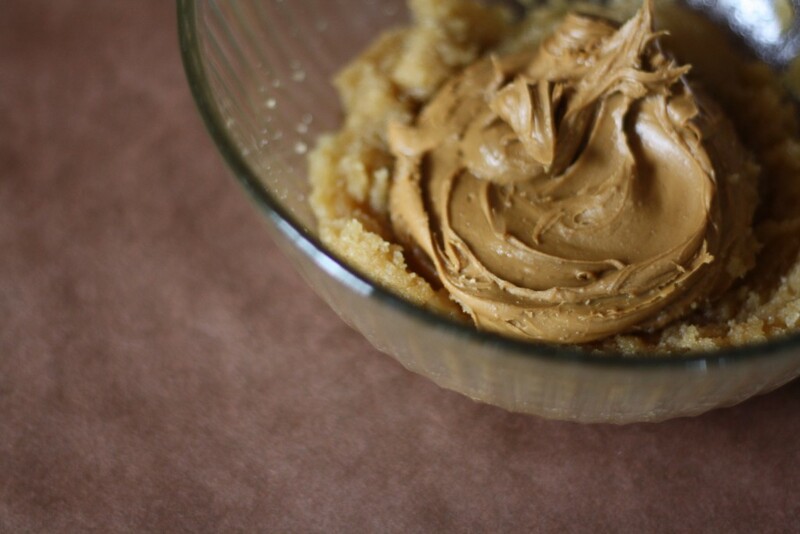 HOLY SHNIKES this is just what I needed – another cookie butter recipe (and I’m being sincere, not sarcastic)! I bought my first jar (I actually bought the Biscoff spread from the grocery store, but I usually only shop at TJ’s) last week and it’s GONE now, mostly from me attacking it relentlessly with a spoon. I also made some Biscoff oatmeal cookies, but they weren’t Biscoff-y enough, if you know what I mean. 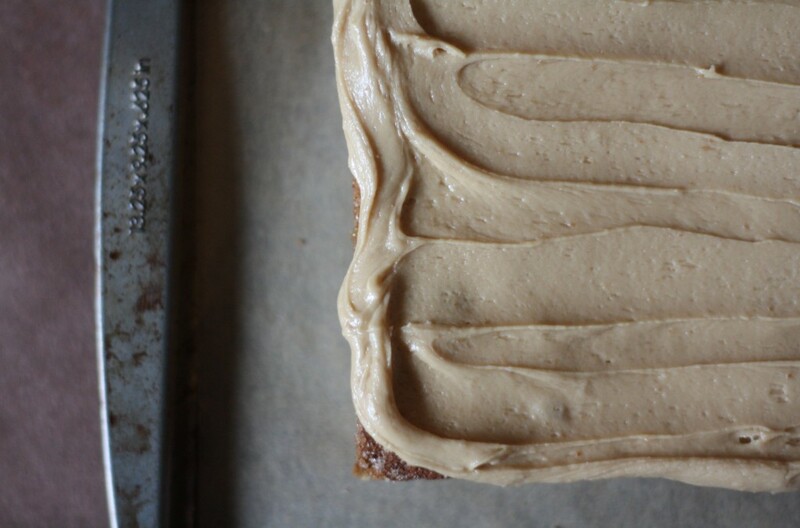 I want a double dose of cookie butter – these bars look perfect. I promised myself I’d never buy another jar unless I needed it for a recipe – I may have to buy a jar of TJ’s cookie butter, make these bars, and then give the rest of the jar away. That’s how little self-control I have around this stuff. GAH! Thanks for this great recipe! Speculoos paste is my addiction. You get it in every supermarket in Holland, and I ate an unwholesome amount when I lived there. Now I have to beg every friend who visits France/Holland/Belgium to bring some back (while also hoping for my continued health that they forget). These look beautiful! Think I could double this recipe for a 9×13 pan? They look tasty! Yes! It would double quite nicely and fit in a 9×13 pan. Happy baking! Woot! So glad they were enjoyed! I have loved TJ’s Cookie Butter since I discovered it last year. 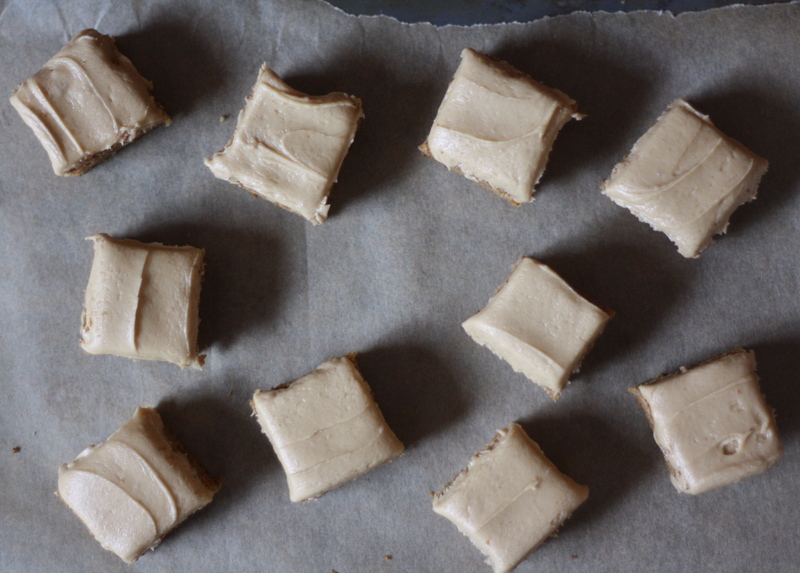 I have changed out peanut butter for cookie butter in my favorite cookie recipe. It is addicting and these look fabulous. Can’t wait to try them!! Hi! I want to make these but I don’t have parchment paper Is there any substitute??? A really well-greased pan! The parchment keeps them from sticking and helps to lift the bars out when they are done, but they will be delicious sliced straight from the pan too. Tin foil would also work. Happy baking! hi there! these look awesome – but i was just wondering how long they will stay good/how far in advance i could make them. i was thinking maybe i could make the cookie bars in advance and then frost the day of. Do you think they’d still taste good if I made them on Saturday night or Sunday morning for Monday night/Tuesday? Hi Dana! I think these bars would hold up great if they were made 2-3 days in advance. I would wrap the fully-cooled unfrosted bars in plastic wrap and store in the fridge until you are ready, then let them come to room-temperature before frosting. Happy baking! Thanks for letting me know! I did a test run of them because I don’t like to make something new during the holidays without trying it out first. Leaving them in my fridge, I actually think they get even richer and gooier! Yay, awesome! Happy holiday baking!! Any thoughts on how these would hold up in the freezer? Hi Sara! I think these bars – unfrosted – would hold up fine in the freezer for a week or so. I would wrap the bars after they have fully cooled in several layers of plastic and freeze. Then a few hours before you are ready to serve, I would unwrap them and let them come back to room temperature on a wire rack (this helps to prevent any extra moisture from the freezer from forming on the bars). The frosting could be made a day or two in advance and stored covered in the fridge. Let the frosting come to room temp as well before frosting the bars and serving. Hope this helps! The Speculoos has got to be my favorite European cookie! They say in Belgium that if your parent’s loved you, you got your Speculoos and milk! …and who would’ve thought that a spread based off of cookies would steam-train it’s way into the hearts and homes of Americans. I’m sure Oreo and Nestle have their ears wide open! Either way, solid inspiration to create such a delectable looking bar. I’m a pretty experienced baker and am very careful about measurements, cooking temps/times and not opening the oven, but these were a fail for me. Like a previous poster, I saw the cookie base rise a great deal in the oven, much like a quickbread, and then it fell slightly during the cooling process. What was left was reminiscent of stale gingerbread, and waaaaaay thicker than your cookie base- probably at least an inch and a half tall, nothing like a chewy or crispy cookie bar. The frosting, however, was absolutely fabulous. I will be using it on my pumpkin cupcakes next fall (I usually do a chai frosting but this will run circles around that) and I’m going to try making a modified version of these bars, too- probably with some kind of short crust. Thanks, though- and I absolutely love your blog! Hi Nola! I’m so sorry to hear since I know how frustrating it can be when something like that happens while baking. My suggestions are all the things you mention above and I’ve made them many times so I am a bit stumped on what the cause was here! I’m glad the frosting was enjoyed and it sounds fabulous on pumpkin cupcakes! Thank you for reading BMUB and happy holiday baking! I’m stumped, too! It must’ve been something I did, but I followed all the cardinal rules (room temperature ingredients, level measuring, no oven opening, etc.). I did use a pyrex pan, but I doubt that had anything to do with it. Anyways, I just wanted to say thanks again and let you know that despite the odd texture, we are still enjoying them tremendously, especially thanks to the amazing frosting. Thanks again! Oh good! That makes me happy to hear!! This is exactly what’s happening in the oven for me too. It’s rising and been in the oven for 30 minutes with a gooey center. The same thing happened to me…Thank you Lillie for your response but I’ve made these three times now and they always sink in the middle!! I even cooked them an extra 5 min and the toothpick came out clean and they stood nice and tall – but as they cooled, the center became like a gooey mess – I consider myself a very avid baker and always have some baked goods in my home at all times – I also know all the cardinal rules to baking so this recipe has me stumped…My family loves them which is why I keep making them – but I have thrown out the middles every time! just made these. they taste amazing and are so easy to make! 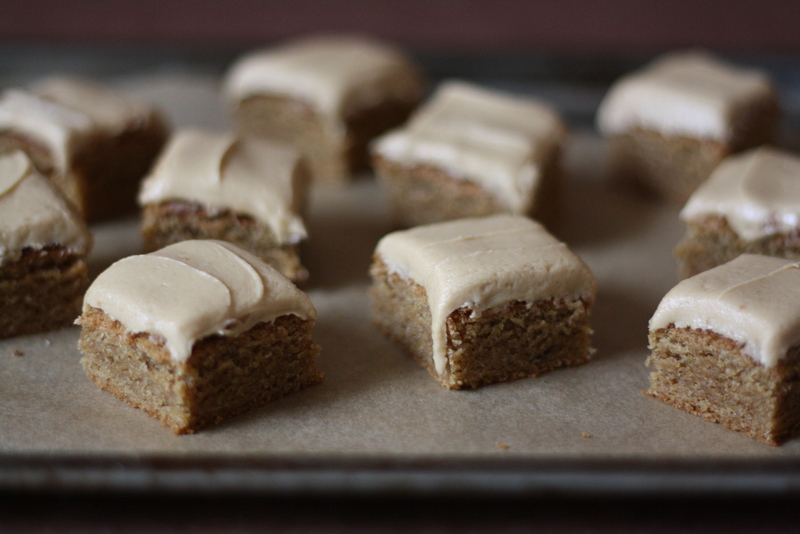 it’s like a gingerbread cookie cake and i’ll be sure to bring it to holiday parties! Yay! I’m so happy to hear that they were a hit! Made these . . . but substituted Nutella for the Cookie Butter in the frosting. Amazing! I have the crunchy Biscoff butter, would that work, or do I need the creamy? I think the crunchy should work just fine. I’d love to hear how they turn out for you. Happy baking! Hi Melissa – I’m glad to hear that you enjoyed the bars but I am so sorry that you also had the sinking problem! I have yet been able to get to the bottom of this problem because I haven’t actually had the sinking problem myself. I tested these several times over the holidays after a few readers wrote in with their woes and I wish I could see the problem so that I could be able to figure out the cause/solution! But I definitely think that altitude is playing a factor here. I have little experience in high-altitude baking and I am sure you are more familier with the adjustments, living at 5,000 feet. I did find this chart which has some helpful conversions. Perhaps try to scale back the baking powder baking and soda to 1/4 teaspoon and bake them at a slightly higher temperature? If you make them again, I would love to hear how they turn out. Happy baking!! I have been looking for a reason to make these cookie bars because they look so yummy and my babies first birthday was the best reason I could think of. I made a few batches of these to share with our friends who were coming to the party this past weekend and had the same result some others did…it fell in the middle. I had doubled the batch and poured what I thought was an equal amount into each pan but by judging by the slope in the middle, one fell more than the other so I can only assume I misjudged. I also used a glass Pyrex pan and have read it doesn’t distribute heat as well as the metal pans do or it could be my oven is old or both (who knows). So I went out and bought a metal 8×8 pan for the last one and that one turned out much better with minimal sloping in the middle…of course this is the one we kept for ourselves. Overall the cookies bars were yummy and I would make these again in my new metal pan. Thanks Lillie…love this blog and can’t wait to try many more recipes! My man friend and I have a special love for Speculoos so I made these for VDay instead of the normal chocolate fare. I then made a light speculoos pudding/custard and topped the cake with it instead of the speculoos frosting. It was like a bread pudding of sorts, but not as soggy. Boy was it delicious! Thanks for the recipe! I made these last night. They are amazing! The frosting is a fantast touch. I made these and several other types of cookies/baked goods at Christmas. Among the 20 somethings these were the favorite, My daughter’s friends are asking me to make more. Thanks for a great recipe. Yay! So glad they were a hit!! 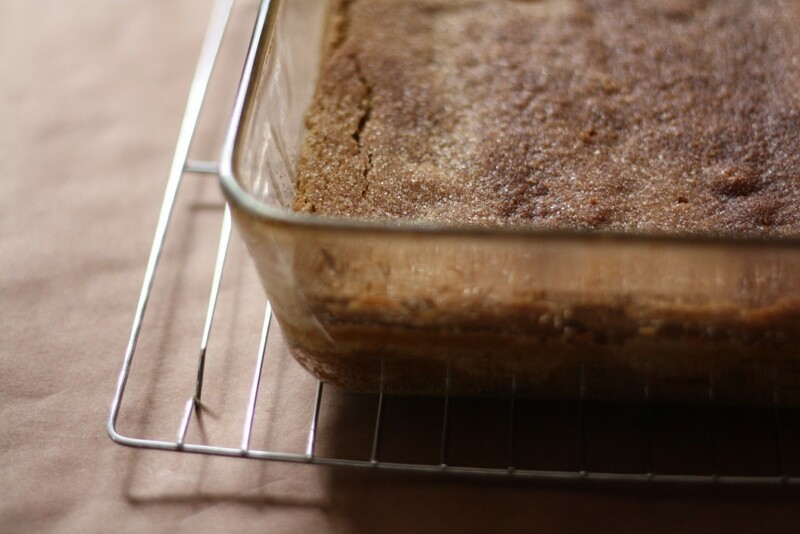 I notice that — unlike your decadent chocolate bourbon blondies, or the HTCE recipe for blondies that you say it’s based on — this recipe calls for leavening. Is that maybe the source of the problem that people are having? Did you decide you needed it because the speculoos butter adds so much moisture to the batter, or specifically to get a more cakey result? Admittedly they have worked fine for you and for other readers, so it’s really puzzling. I’m thinking of going back to the base recipe and just sliding in some cookie butter, then adding your toppings. I’ll let you know, if I do, what the result is. Just found your blog and tried this recipe tonight, i am in absolute heaven!! i love anything cookie butter. It made my house smells heavenly. Much appreciation . Also, i read the comments just now and saw people were having some troubles with it sinking. Mine came out perfect. But i live in flat florida. It cooked at about 23 mins. I put it on a cooling rack after a few mins then removed them from the pan with the aluminum foil over hang. Added just under a cup of chopped walnuts and white choco chips. Decorated the frosting with crushed gingersnaps and more chips! Thank you Anna! So glad they were enjoyed!! Hi Deborah, I’m so sorry to hear that you are having similar troubles. Did the bars firm up after a longer baking time? 29 Cookie butter recipes (#11 is a personal fave!) - C.R.A.F.T.